Caskey-Beazley, Attic Vase Paintings (MFA), no. 102. 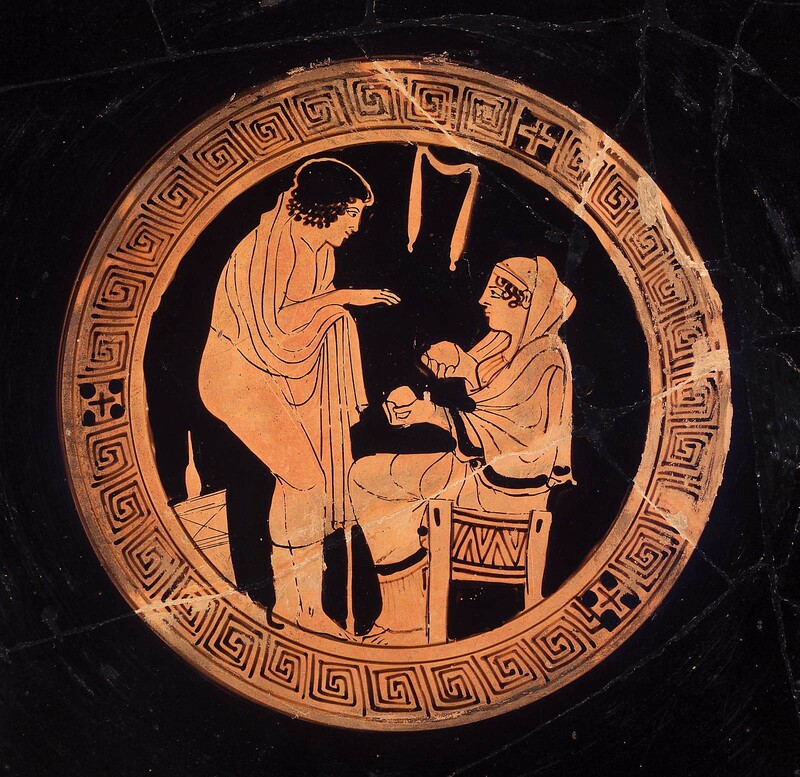 Interior of Drinking Cup: A youth stoops over leaning on a walking stick to talk to a seated woman who holds two fruits (?) or possibly two round objects for juggling? At the left is a kalathos (wool basket) with a spindle sticking in it.Early fine style. A scene typical for a number of vases in this period that feature scenes of women seated with wool baskets and their servants. Interior: a youth standing to right, talking to a woman seated in front of him. 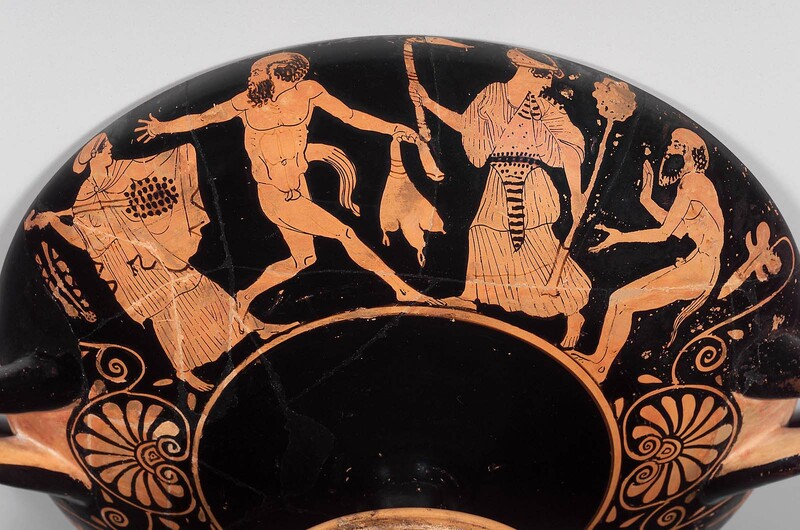 Exterior: Satyrs and Maenads playing. 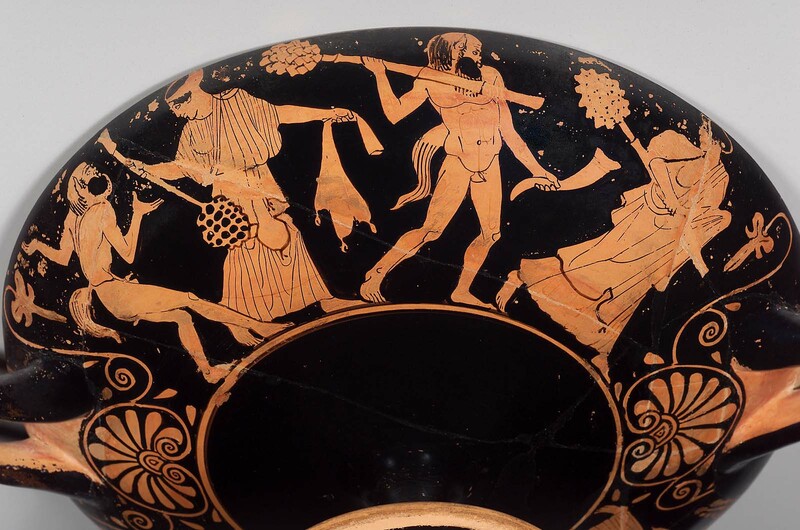 They carry thyrsi, wine-skins, and one satyr has a rhyton. Repaired and partially painted over.